Did you make a resolution that you will write and publish a book this year? But do you find yourself making the same resolution year after year but the book is never ready? Are you one of those people who started writing at the beginning of the year with a belly of fire only to find that your initial enthusiasm fizzles out as fast as it comes? From my encounters with countless author wannabes whom I have met as a publisher, I would say that 9 out of 10 people who wanted to write a book never ended completing one. So, as you can see, you are not alone. Having helped many authors to take their book from idea to market, I would like to share with you right now the 5 reasons why most resolutions to write a book fail. Writing a book is as easy as ABC, or rather CBA- Conceive, Believe, Achieve. “Whatever the mind can conceive and believe, the mind can achieve.” This is a famous quote by Dr. Napolean Hill, author of one of the bestselling personal success book of all time, Think and Grow Rich. As simple as it sounds, this guiding principle is in fact applicable to anything you want to achieve in life, and not just writing a book. Everything that you wish to achieve always starts with an idea that you first conceived in our mind. So in this case, this is a book idea. But for most people, the book always remains as an idea as they do not believe that the day will come and did not take action to achieve it. Needless to say, their book idea will still remain as an idea many years down the road. Published authors have a strong belief that the book that they are writing will be completed and published. In the words of Henry Ford: “Whether you think you can or you can’t, you’re right.” This strong belief in yourself is important because it provides the driving force that will push you through obstacles like writer’s block or even when doubt and ridicule surround you. Finally, the last step is to take concrete action towards achieving your conceived book idea. Without action, a strong belief in your book idea alone will never translate into a physical book. A simple action like setting aside an hour every day doing nothing but writing will slowly but surely move you towards your goal. So remember, to achieve your resolution of writing a book, you need to harness the power of CBA. Whenever someone consults me on book publishing, the first question I will ask him/her is “What is your purpose for writing this book?” And more often than not, those who can articulate to me clearly, concisely and with conviction what they hope to achieve from writing and publishing their book, will eventually go on to become a published author. The purpose to write and publish a book can be very varied, some examples would be: to help raise funds to support a cause, to make my grandma proud of me, to leave a legacy, to increase visibility and credibility, to generate publicity, to create a lead generation tool, to create an additional income stream, to net a dream job, to gain admission to a school of choice, to share knowledge and expertise, to document history, to inspire others. You have to find your overriding purpose to write the book– what you ultimately hope to accomplish by seeing your book through to completion. I have come across people who started writing their book enthusiastically with only a vague idea of why they are spending time on it, and usually that will be the last time I heard from them because they soon forgot why they are writing in the first place and gave up when they lost interest in their writing. So, before you jump into the writing of your book, spend some time to ponder about your inner objective for writing your book followed by crafting a carefully constructed statement about why you want to write this book. It is important to be truthful to yourself in this process and make sure the statement is as specific and detailed as possible. Be sure to write it down somewhere that you can refer to time and again to remind yourself on the purpose. Reading your purpose for writing the book is simply a means to keep you energetic and excited as you progress on the journey. To many people, especially first-time writers, writing a book seems like an overwhelming task to complete. Most of them don’t know where to start. As majority of people are not full-time writers, the feeling that the task is too big to fit into whatever little time they have often results in procrastination. To start the ball rolling, you can start with the research phase so that you can refine and crystallize your book idea and to document your findings. Next, to help overcome the inertia to start writing, it is important to apply the principle of “divide-and-conquer”. Before actual writing commences, the structure of the book must first be established and presented as a table of contents. The table of contents will logically break down the book into more manageable chapters and you can also take a further step by listing the sections in each chapter. When faced with shorter chunks of writing, most people will find it less daunting to start writing the book. Remember, writing a book is never a mammoth and insurmountable task by itself, but a completed manuscript is an end that can only be achieved by taking small steps towards it. The inertia to write might also be caused by overwhelming feelings of fear, self-doubt etc. The thought of working on your book might induce such negative feelings and result in a tendency to avoid the book project altogether. Such feelings are common and the solution to avoid being defeated by them is simply to follow the Nike slogan- “Just Do It”. You will be amazed by the effect when you get involved in the actual work of writing. Your negative feelings immediately dissipate when the work at hand occupies your mind. This is another reason why it is important to establish your table of contents so that your attention is engaged in working on the first chapter, followed by the next and so forth. In today’s society, isn’t it common to hear people complaining that they have too much on their plate and no time to do them? In the face of other urgent tasks competing for our attention and time, writing is unfortunately often relegated to the last priority. There will always be office work to complete, kid’s homework to supervise, groceries to shop, house to clean, Facebook account to check, emails to reply, a game of golf to play, a soccer match to watch, etc. Everyone has only 24 hours a day and it is only through priorities management that we will find time to do the things that we truly want to do rather than be sucked into the daily grind. Even if you strongly believe in your purpose for writing the book and also manage to overcome the inertia, it takes a disciplined approach to complete writing a book. You need to factor in a time slot in your daily routine for you to take action and write. Draw up a timetable based on your table of contents and put the task of writing in your daily To-Do list. When you have completed the day’s writing, you will enjoy the satisfaction of checking it off from the To-Do list and also seeing your progress visually. It is also important to find a small but gratifying way to reward yourself after each day’s writing because the ultimate payoff for writing a book doesn’t happen overnight. Small rewards are an effective way to circumvent that lengthy delay of gratification. To make writing a daily habit, you can consider allocating the same slot every day at the same place. The idea is to make writing as natural as going to work daily at your office. For many people, writing a book can be a very personal and lonely journey. When there is a lack of support, it is easy for limiting beliefs to creep into our mind when the going gets tough. For many people, it is often the easiest to excuse themselves from completing their task. One effective way to prevent this from happening is to be held accountable for our action by an external party. Declare and share your intention to write a book with a friend or a group of friends and ask them to constantly check with you on the progress of the book. As a bonus, such a group can also act as your sounding board to bounce off ideas on your book and to provide you with feedback on your writing. These are the 5 reasons why in my opinion most resolutions to write a book will fail. 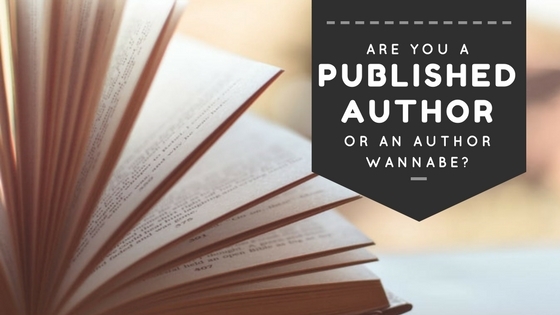 You can also view them as factors that separate many author wannabes from the published authors. I sincerely hope that you will achieve your resolution soon.